Took this one last night. Strap is Drunk Art Straps Desert Sand canvas. Awesome strap combo. Love how the color of the strap's undertones matches the hands' lume. Very nice. 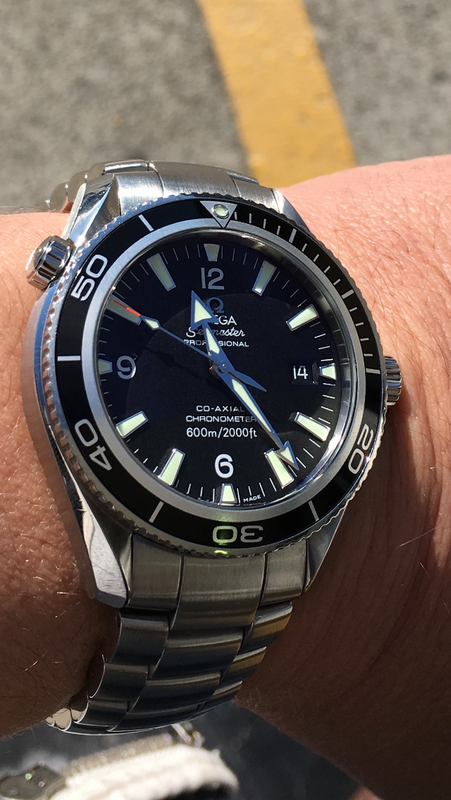 So my dad has had an older 42mm Seamaster for about the past ten years. I wanted to get into the watch world, so I jumped in with a Breitling. After selling it, I though it would be funny to outdo my dad. I stepped up from his 42mm to a 45.5mm PO Chronograph 2500. It looked amazing! Honestly, the watch just wasn't for me. I think if I got a smaller one like a 42mm, it would be perfect. 45.5mm is just so big! The 2500 will, in my opinion, be the most coveted PO of them all. Last edited by Galaga; July 14th, 2017 at 12:21.
cybercat, RDK, DaveandStu and 1 others like this. So I thought this would be an interesting discussion. In some respects the current 39.5 PO brings us back around to the 42mm 2500, largely because it is actually thinner by a hair. Side by side, there are aspects of both watches that I like. The 2500 appears more traditional, with the silver bezel ring that harks back to the '57 300 and number typeface that echoes watches from the line. I personally greatly appreciate the matte dial, the non-applied numbers, the less-chunky hands, the proportions of the bezel numbers, and the slightly more graceful case. Conversely the current PO has a certain coherence, I think resulting from the loss of the silver bezel ring. It's flashier in some ways and less flashy in others. calv1n and dinexus like this. Purchased in 2009. 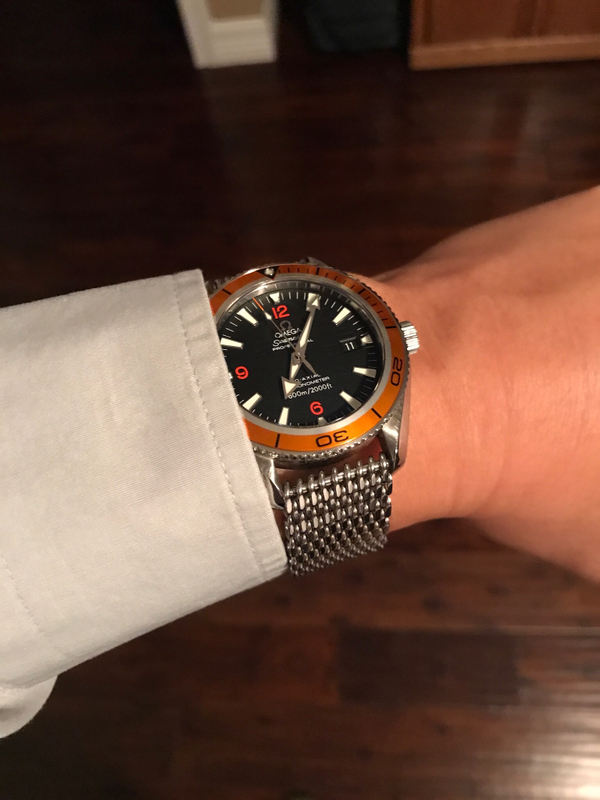 Recently had the first service at the Omega Boutique in Sydney. Hats off to them, they did a great job. So happy with it. Last edited by Galaga; July 15th, 2017 at 06:34. RDK, Cobia and DaveandStu like this. Very tasteful mate, lovely watch.